Fred Yaeger is a veteran communications executive and Founder and President of YAEGER PUBLIC RELATIONS. He has extensive experience in public relations and media management strategies, and a strong and consistent television, radio and print placement record of achievement. Mr. Yaeger is nationally recognized for his public relations acumen in managing press conferences, writing of personality profiles, newsletters, brochures, as well as the development and implementation of crisis management strategies. 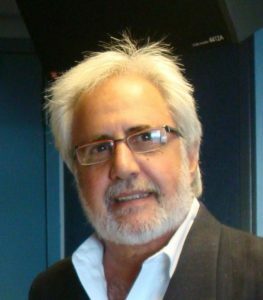 He has produced and hosted a weekly half-hour public affairs radio program in New York City, and a Westchester cable television program on health care issues. Mr.Yaeger is a member of the Yonkers Chamber of Commerce, the American Society for Health Care Marketing and Public Relations/American Hospital Association, and the Health Care Public Relations and Marketing Society of Greater New York.